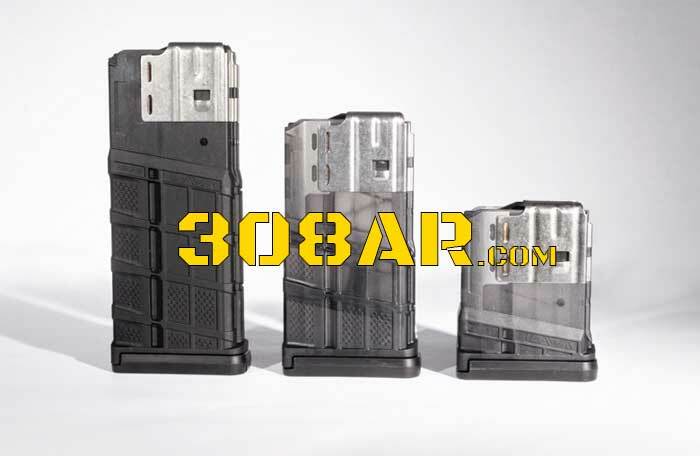 Among AR-15 shooters the Magpul PMAG is the reigning king of popularity. The PMAG is inexpensive, looks great and is very reliable. Magpul also has the best marketing of any magazine manufacturer. That said among AR purists their are better (and much more expensive magazines). The HK and Lancer Systems L5 come to mind. That brings us to today’s welcome entry in to the 308 AR magazine field, the Lancer L7 Advanced Warfighter Magazine. Lancer L5AWM and Lancer L7AWM are of an interesting design and construction. The magazine bodies are polymer with a steel insert for the feed lips. While this construction is not unique the polymer body characteristics are. The key difference is a flexible body. The flexible body allows the magazine to remain flexible and survive impacts and conditions that might disable AR magazine of steel, aluminum and other rigid construction materials. 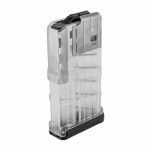 When they set out to develop a tough and reliable .308 polymer magazine on the market, Lancer took engineering inspiration from the L5AWM (5.56) and the SIG Sauer MPX, combining the best advances of both to bring the Lancer L7AWM Magazine to life. The Lancer L7AWM Magazine is lightweight with steel feed lips that wrap completely around the magazine to maximize stiffness and reliability while preventing dimpling to the front of the magazine. A switchable drain lock in the floor plate comes standard on all L7s, allowing users to configure the magazine for either water-borne or extreme dust conditions. The L7AWM is designed to work in multiple weapon systems.